Hi, I’m Lily, and I am an addict. I’m addicted to sport. All sports, except those involving cars or motorbikes. (With apologies to Juanita Kees who loves V8s, and Peter Brock who was a darn amazing hero). If I list highlights of my life, sporting stories will often leap to the front. For example: watching Viv Richards play cricket for Glamorgan during a visit to England about 25 years ago, and chatting up one of the security guys during a rained-out Test Match at Lords. After a day out at the Adelaide Oval for a test match about five years ago, I encountered the late Tony Greig with Bill Lawry, as my girlfriend and I took a shortcut through (obviously) some place we shouldn’t have been in our efforts to make a fast getaway from the ground. I’m glad to say, he was joking. We stayed out of jail to watch cricket for another day. Aussie Rules football, cricket, rugby union, tennis, golf. Winter olympics. Summer olympics. Commonwealth Games. I’ll watch swimming, cycling, horse-racing, polo. I’ve even got into Le Tour de France in recent years. I have seen the Black Caviar documentary on Australian Story at least three times, and I cry every time. I sat up late to watch her win at Royal Ascot in England in 2012: the race she so nearly lost. The hairs rise on the back of my neck anytime I think of the gold medal Kieren Perkins won in the 1500m freestyle at the Atlanta olympics in 1996 swimming from lane 8; and there’s a horse race from 1986 in which two Kiwi horses, Bonecrusher and Our Waverley Star ran neck and neck down the home strait with Bonecrusher narrowly winning the Cox Plate. I cannot watch this without holding my breath and getting goosepimples all over. 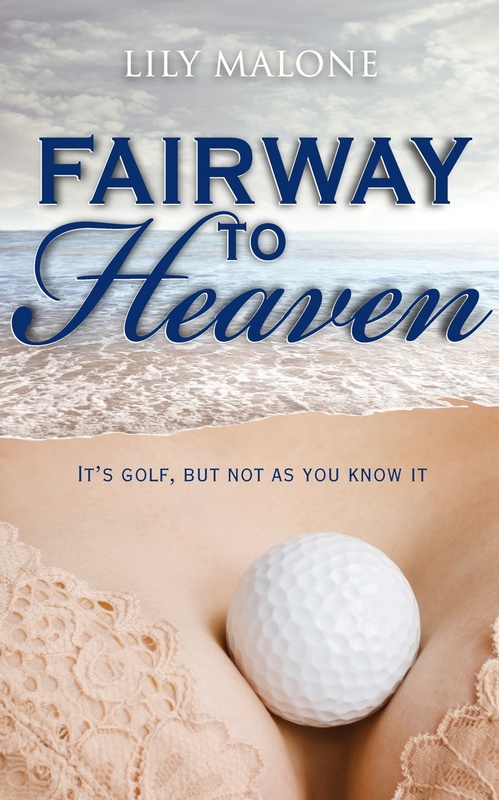 I wish I could say that the inspiration for Fairway To Heaven was golf and sport only, but it wasn’t. It was a little gem. A dark blue gem called a ‘sapphire’ that was the theme jewel for the 2013 Romance Writers of Australia short story anthology, Little Gems. You see, about the time the call for entries to Little Gems came out, I mentioned to hubby that I was interested in playing golf again. He started researching clubs for me and he came up with Cobra Sapphires. And all of a sudden, I had a great idea for using ‘sapphire’ in a short story. In the e-book version of Fairway To Heaven, I include my Little Gems story at the back. It was 3000 words, and it fleshed out to be 81,000. A gold-medal-winning effort at extrapolation if I say so myself. One day, I will write a cricket romance. I’ll base my hero on Warney. Lout, rogue and all. Because I do love a good lout. I hope you’re enjoying the Bunker Hop to celebrate the release of Fairway To Heaven. (You can read more about the book in the ‘My Books‘ section of this website). You can win an e-gift pack of my three books published to date, Fairway To Heaven, His Brand Of Beautiful and The Goodbye Ride if you tell me in the comments below of the most memorable sport moment you can recall in your life. (This is open to International & Australian entries). 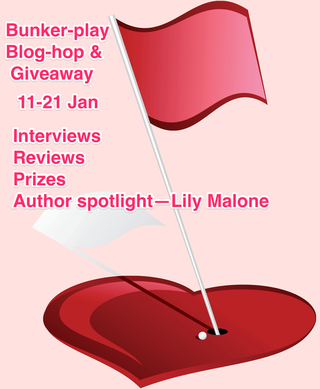 There are some wonderful writers involved in the Bunker Play Blog Hop and Australian entries can win a major prize of a gift pack from me, filled with yummy delights (and a copy of Kate Belle’s book, The Yearning). Please navigate back to Blog Hop HQ using the link below, to see more sporty posts from sporty writing gals! One of my most memorable sporting moments was when I was into road cycling and I was struggling up a hill on the way home from cycling up Mt Cootha in Brisbane and a very hot male cyclist grabbed me by the back of my cycling pants and dragged me to the top. I was very impressed by his leg strength (and relieved to be able to slack off!) Loving the Bunker-play hop, there’s so many great posts by so many bloggers. 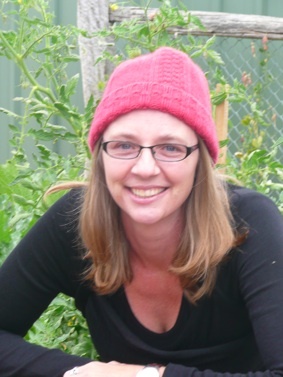 Never mind Jennifer – we’re not all sport nutty like me! Thanks for visiting. I like sports as well and can’t wait for the Olympics to start … oh but first the tennis down the road! And Lily, talking about Tony Greig (yes! I know who he is), one day I have to tell you the story about the Australian Cricket Team being in the same plane as me … or should I say, me being in the same plane as them? But not only that, got to meet Paul Rifle as well 🙂 Remind me when I meet you in Sydney! Oh awesome Iris! That would be incredible to be on the same plane – and yes – please do tell me about your daughter at the MCG. I would dream of being out on the MCG one day… just to get a sense of what it must be like. to ever tour England. Victory was sweet at the end of that series. Go you! – I too remember the 1989 series well. The Aussies rocked didn’t they! p.s. saw your cheesy golf pick-up line over at Steamy Puddings blog. I think you’re on a winner there! Aw, shucks, thanks! They did say cheesy, so I got the cheesiest one I could think of! Congratulations on your new book, and I really REALLY can’t wait for your cricket one! If you send me your email to lilymalone @ mail.com (without the spaces) – that would be great. I love sports too! Not only watching them, but playing and reading about them as well. I’m not any good at most or all of them but I do try hard! Congratulations on the new book. May I also mention how lovely and cheeky the cover is? It’s adorable! Thank you! I think it’s cheeky and it’s different to the usual. I’m glad you liked it! Having such fun bunker blog hopping:) All the very best with FTH!!! Next Next post: Sun. Sweat. Sport. Happy Australia Day!